Philip Henry Gosse (1810-1888) was an English zoologist and a prolific author of popular science books. 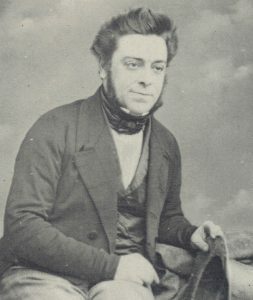 In the early 1850s, Gosse set out to write a book on rotifers, microscopic animals that he collected in ponds and puddles. However, “it proved difficult to popularize so abstruse a subject [as rotifers]” and Gosse abandoned the project. 1 He went on to publish Evenings at the Microscope in 1859, which contains a chapter on rotifers, or “wheel-bearers.” His book was widely read and made rotifer research more popular. In 1897, the illustrations Gosse made for Evenings at the Microscope were reprinted in an American children’s book, Clara Kern Bayliss’ In Brook and Bayou. 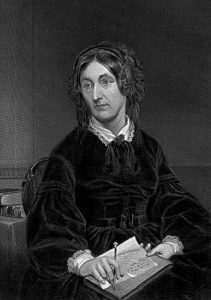 Mary Somerville (1780-1872) was a renowned Scottish astronomer and mathematician, and a celebrated science author. Her On Molecular and Microscopic Science, however, was not as well-received as her books on astronomy and physics. The Popular Science Review called it “a mistake,” its arguments being “crude” and “undigested.” Still, the reviewer admitted that the book’s illustrations were of “great beauty, attractiveness, and effect.” 2 Mary Somerville borrowed heavily from other microscopy handbooks, which makes her On Molecular and Microscopic Science an interesting case of texts and images moving among publications, and possibly being adapted to different audiences. Thomas Bolton (ca. 1830-1887) was a Birmingham microscopist, who sent living microscopic specimens to microscopists all over Europe. His specimens were accompanied by “flyleaves,” brief descriptions and illustrations of the specimens, often copied from microscopy journals and handbooks. Bolton’s flyleaves were bound and published at intervals. We uploaded a collection of flyleaves circulated between 1879 and 1882. After Bolton died in 1887, his son seems to have taken over his business and continued to send specimens to Europe and North America: There is an advert for “Thomas E. Bolton’s Living Microscopic Specimens” in the American Monthly Microscopical Journal (1898). The American Monthly Microscopical Journal was founded by Romyn Hitchcock (1851-1923), a many-sided author, scientist, museum curator and photographer. Originally, the American Monthly Microscopical Journal was associated with the New York Microscopical Society, but in 1887 it was moved to Washington. 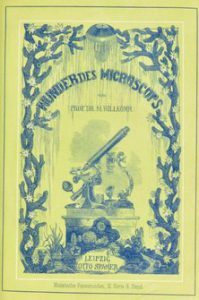 It contained reports on the meetings of many American microscopy societies, correspondence of its subscribers, descriptions of microscopes and manuals on how to prepare and observe microscopic specimens. 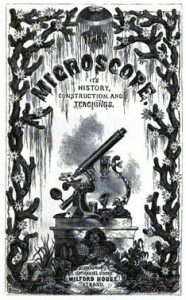 When the Quarterly Journal of Microscopical Science was founded in 1853, it contained the transactions of the Microscopical Society of London and combined them with reports on microscopy in Britain and abroad. However, many members of the London society felt that they should have their own journal and when the society obtained its royal charter in 1866, the quarterly was dissociated from the new Royal Microscopical Society (RMS). The journal continued to be widely read and its successor, the Journal of Cell Science, still exists today. Our Worlds of Wonder project seeks to find out more about the ways in which the various people involved in the making of nineteenth-century microscopy illustrations collaborated. Did most microscopists illustrate their own works? How did the decisions made by the editor or publisher affect their illustrations? Did the illustrations change when they were reproduced in another publication? And when did microphotographs start to appear in microscopy publications? With your help, we hope to be able to answer these questions. Just like Philip Henry Gosse asked his readers to join him on his journey into a “world of wonder and beauty”, we invite you to explore nineteenth-century microscopy publications with us. At the moment, our Zooniverse project contains five publications to choose from, three handbooks and two journals. In our next blog post, we’ll tell you more about these publications and how some of them managed to travel to places all over Europe and America – stay tuned! As a result, microscopy texts and illustrations travelled between books, periodicals and trade catalogues. Illustrations published in a religious work on microscopy, testifying to the beauty of even the most minute of God’s creations, were reprinted alongside medical illustrations. Likewise, an extract from a textbook for students of biology could appear next to a lively account of infusoria living in a microscopist’s garden pond. 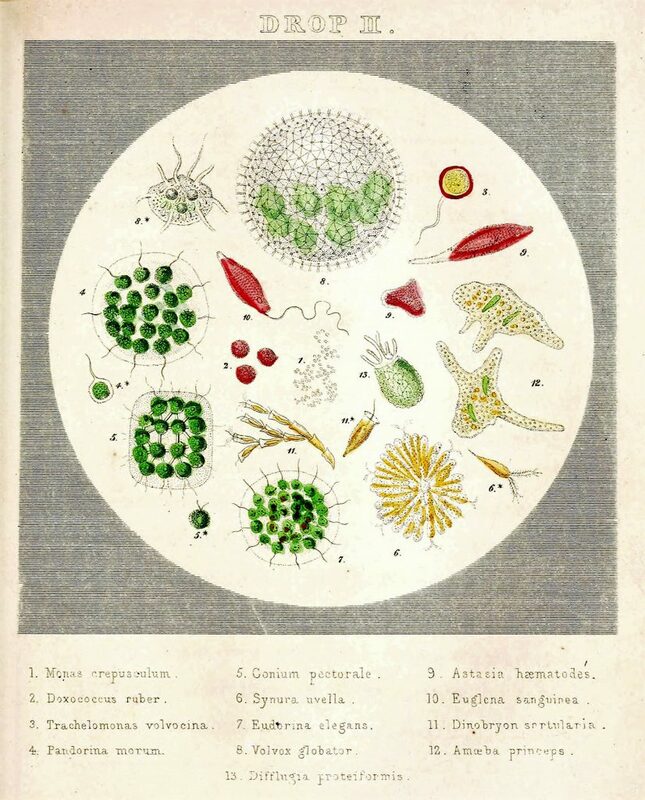 Often, microscopy texts and illustrations were adapted to target different audiences. Editors shortened texts, added chapters or prefaces, had photos reproduced as engravings or multiple illustrations combined into one. By the time the North American Medico-Chirurgical Review published their scathing review of Hogg’s microscopy manual, the frontispiece of Hogg’s book had already reappeared in a German publication. The Worlds of Wonder Zooniverse project aims to reconstruct the travels of nineteenth-century microscopy illustrations by tracking their reproductions. 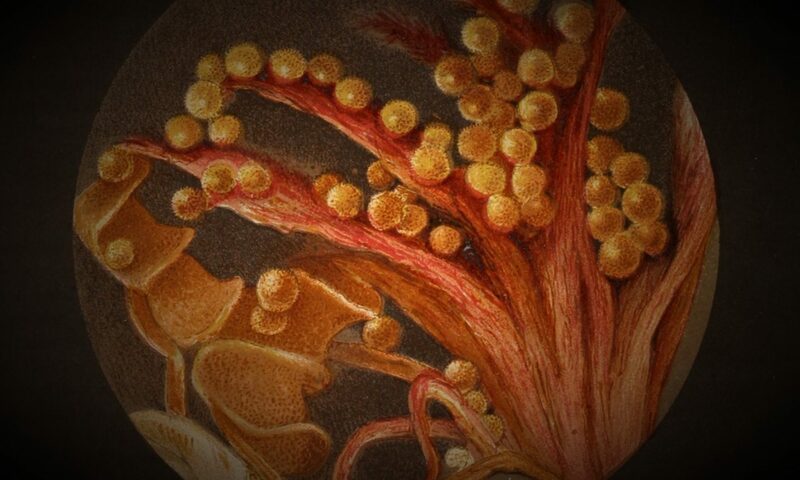 It builds on the idea that circulating illustrations were a vital factor in the formation of a microscopy community in the nineteenth century. Microscopists were an exceptionally diverse group ranging from amateur and professional scientists in various disciplines to opticians, engineers and medical practitioners. There is reason to believe that the success of microscopy publications depended on their ability to address their readership by combining texts and images which, on their own, would have been relevant only for subgroups within the microscopy community. By reconstructing the routes microscopy illustrations took and documenting the changes they underwent on their way, we hope to better understand strategies of community-building in nineteenth-century science, technology and medicine. We invite you to join our research team on Zooniverse and help identify and classify microscopy illustrations. Identifying the content and contributors of these illustrations will allow us to get a better idea of who was involved in the nineteenth-century microscopy print trade and to find and analyse reproductions of illustrations. We look forward to meeting you all and having a great time researching microscopy books, periodicals and catalogues together! Help us identify and classify nineteenth-century microscopy illustrations. Join our research team on Zooniverse!